What is your web browser capable of? For most of us, it’s gradually becoming more and more indispensable as a working tool, just like smartphones did a decade ago. In addition to the basic feature of accessing online content, we use browsers to communicate, learn news, study and analyze data, gather information, protect ourselves, and so much more. It would only seem natural to add yet another handy feature – signing documents electronically – to this web assistant, wouldn’t it? You’ve been requesting this for so long, and finally we deliver! Though KeepSolid Sign web application has been available since the day one, up until recently there was only a handful of features present in it compared to the desktop versions. This unfair situation is about to change for the better. 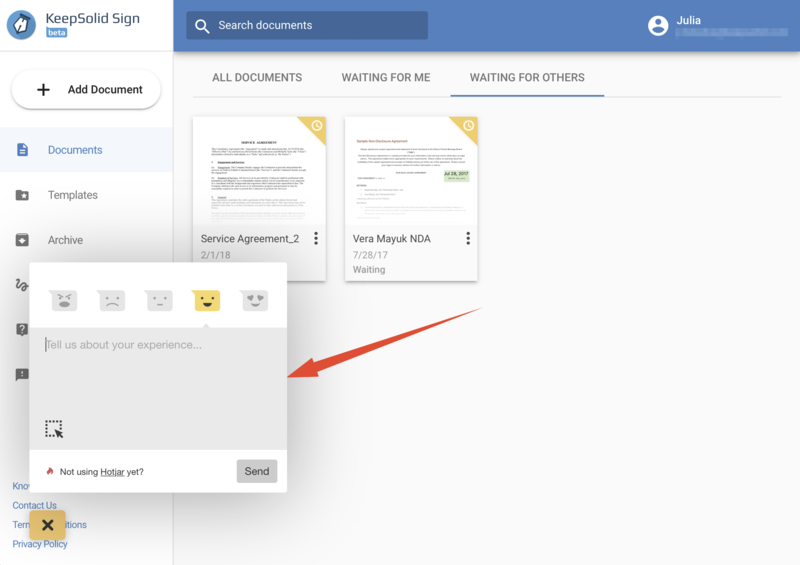 In the newest update, KeepSolid Sign allows users to send documents to signees and observers right in their browsers, with all the app’s electronic signature features available. But there’s more. We’re currently conducting a beta test of this update, and you are officially invited! Become beta tester of KeepSolid Sign Web Version now! What electronic signature features are now available in KeepSolid Sign app for browsers? How to become a beta tester for KeepSolid Sign web version update? Also, we can’t stress enough how much your feedback helps us improve our service and better understand your needs. So don’t hesitate to share it with us! This can be done via the Support tab within the KeepSolid Sign app. Or, you could join our new beta testers forum for a more direct communication with us, KeepSolid Sign team, as well as other fellow users. We’re looking forward to meeting you there!